I made an early morning trip to the Sandy River Delta. 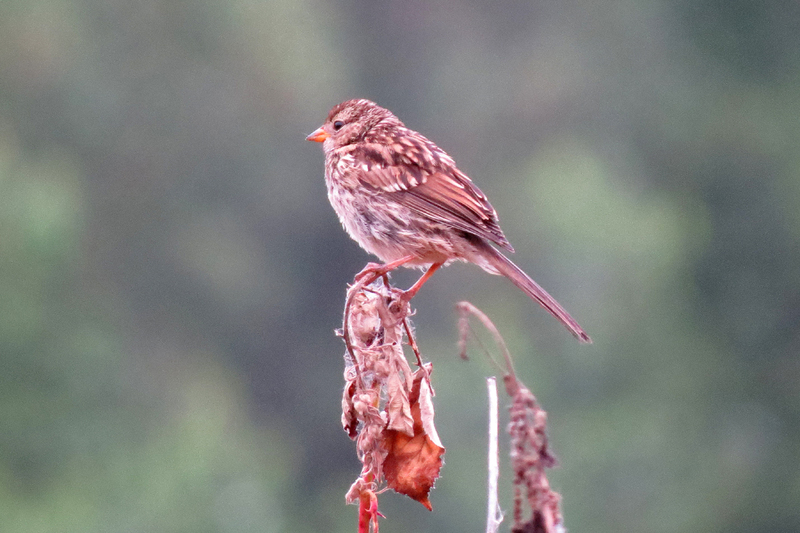 This late in the summer, with the weather being so hot, most bird song is limited to the hour or so around dawn. This Willow Flycatcher was singing right at sunrise. 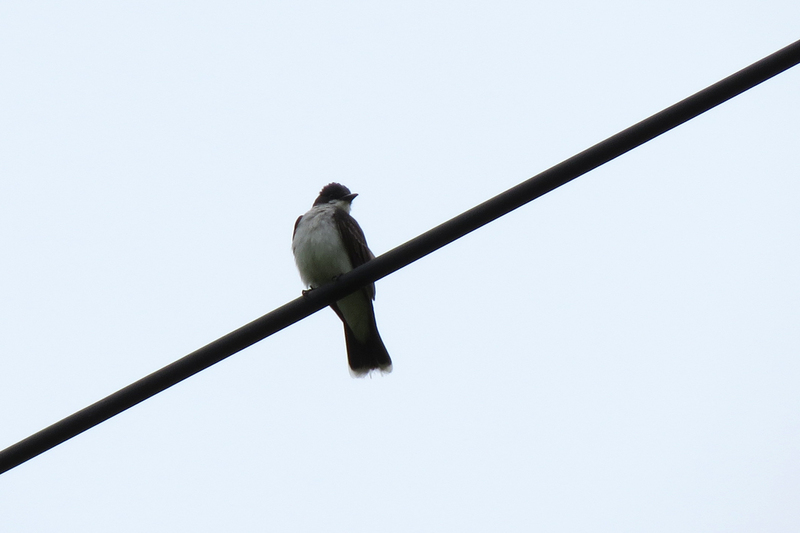 The resident pair of Eastern Kingbirds was hanging out on the power lines. 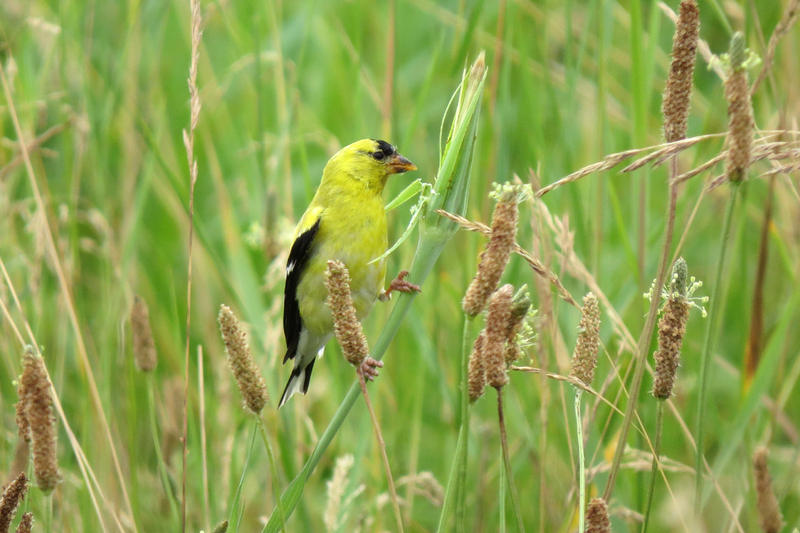 American Goldfinches were common in the grassy areas. 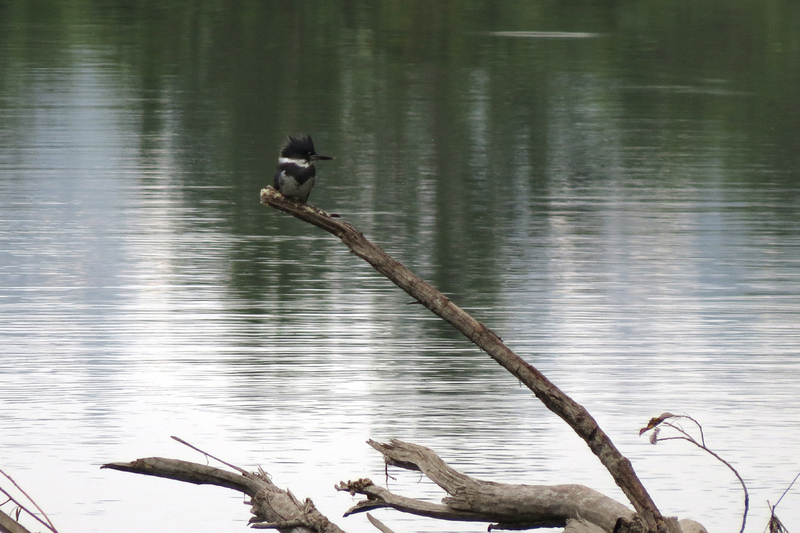 Belted Kingfisher on a side channel of the Sandy River. 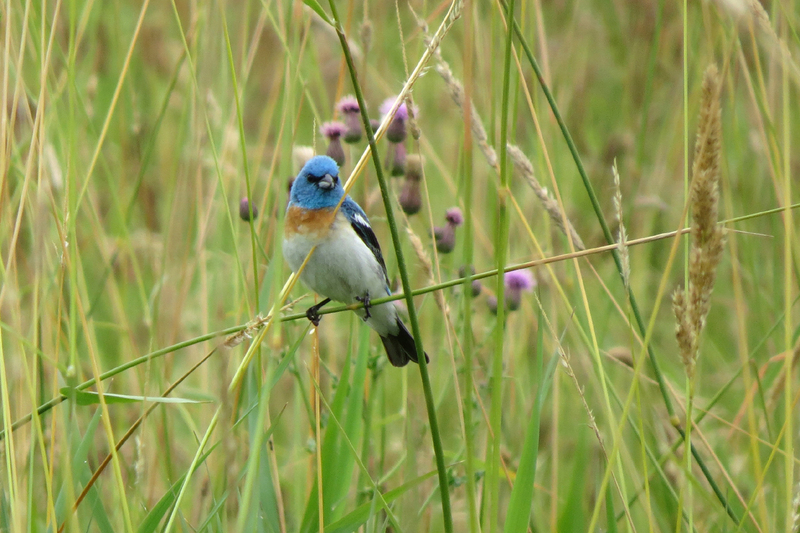 The stars of this site are the Lazuli Buntings. This male was keeping a close watch on his lady. 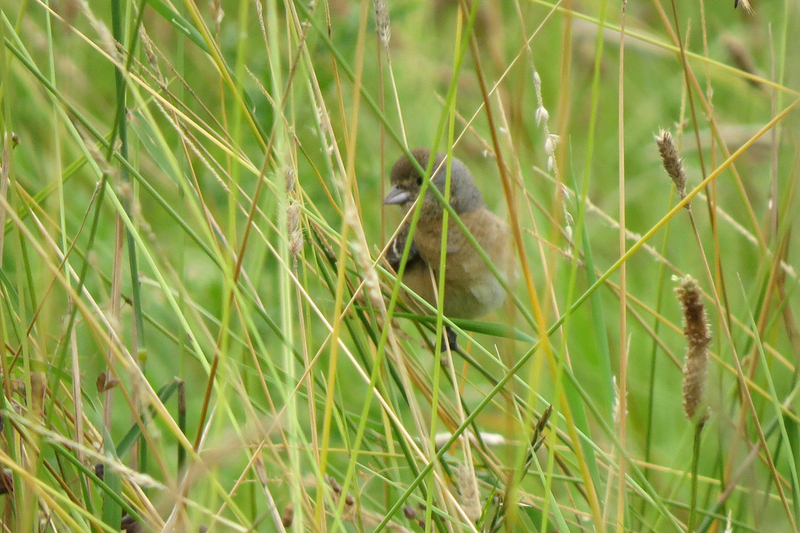 The female Lazuli Bunting was a little more shy. 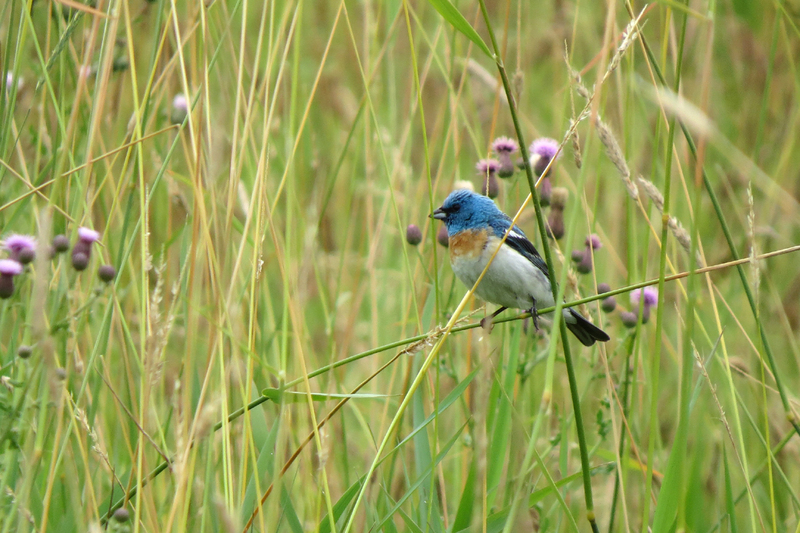 This entry was posted in OR Birding Sites and tagged American Goldfinch, Belted Kingfisher, Eastern Kingbird, Lazuli Bunting, Sandy River Delta, White-crowned Sparrow, Willow Flycatcher. Bookmark the permalink. Wow! 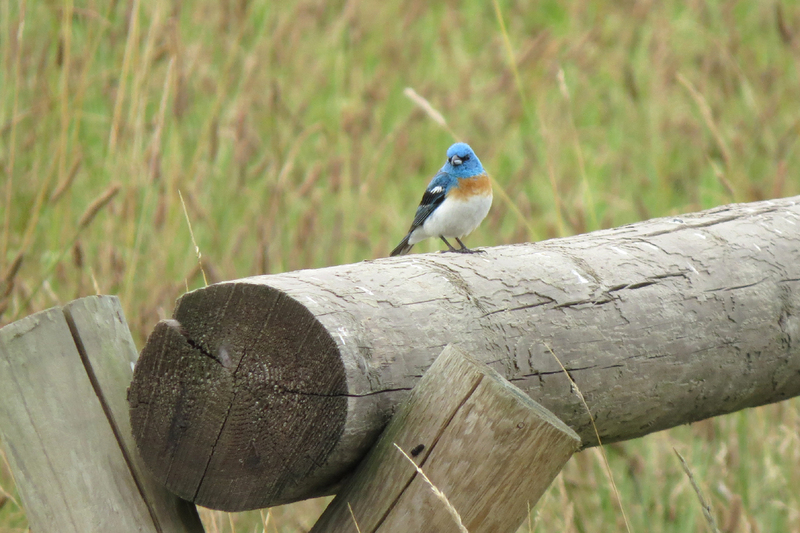 Don’t know I have ever seen the Lazuli Bunting – beautiful – and was wondering who the flycatchers are – such an intensely focused small bird… Thanks for sharing! How do you differentiate the Willow Flycatcher from Western Pewee? I think I may be mistaken in my identification of birds in my neck of the woods on Glencoe Swale. 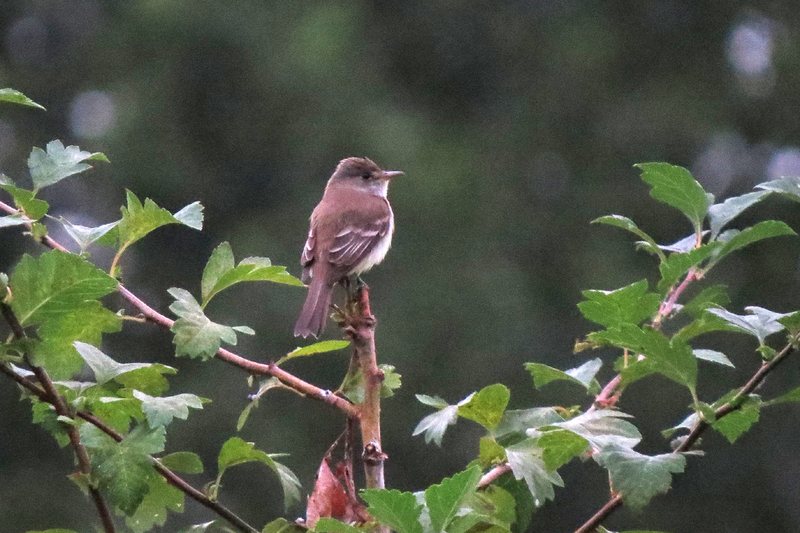 Willow Flycatchers have light underparts and relatively short primary projection. Western Wood-Pewees have a dark “vested” look on the underparts and long pointy primary projection. Of course, identifying both of these species is much easier when they are singing.